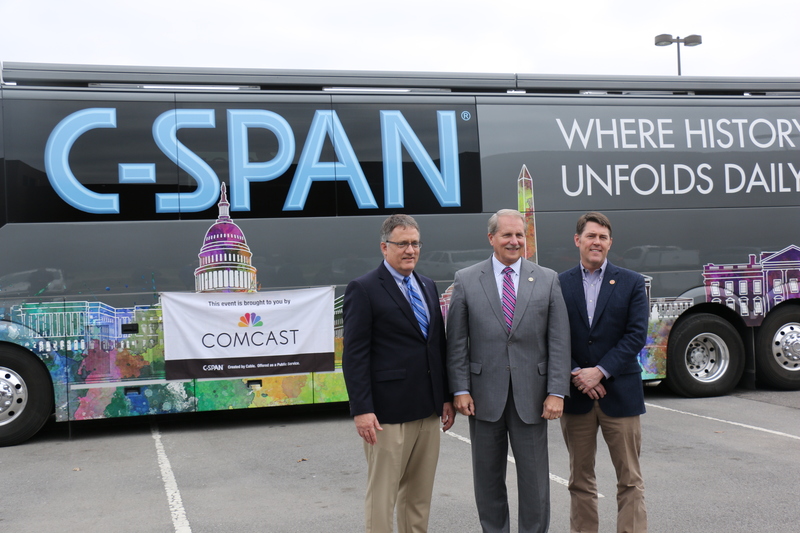 The C-SPAN Bus visited Middle Tennessee State University Wednesday while on its regional tour. 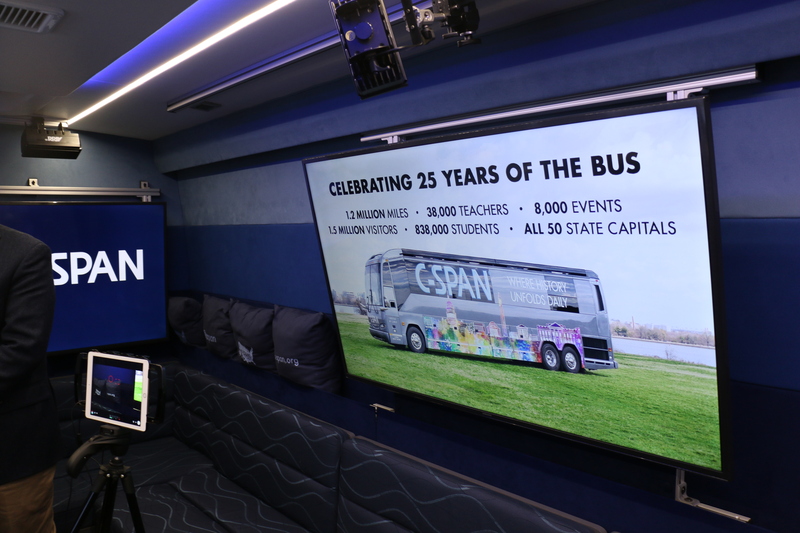 The bus, which comes to school and community events, provides an interactive look at C-SPAN’s resources, including over 250,000 hours of video content. 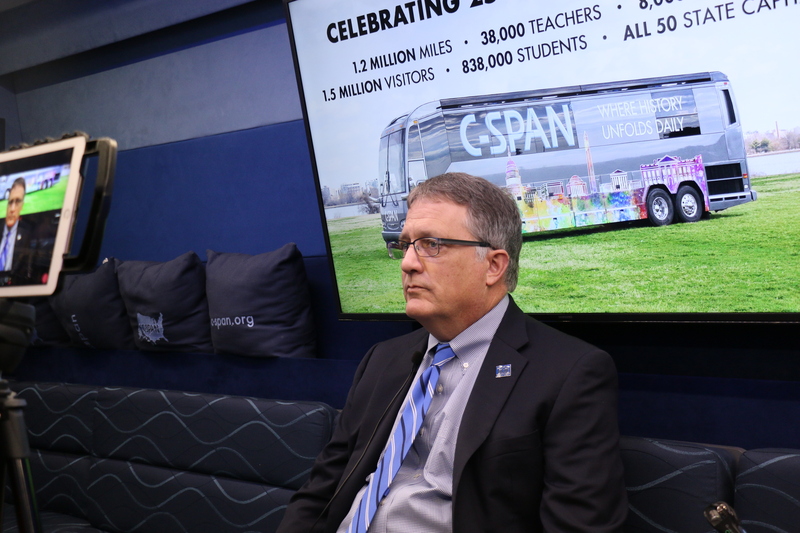 The bus is an interactive mobile studio and classroom, said Robin Newton, a media relations specialist at C-SPAN. The bus is on the “Southern Swing” tour that will visit southern states such as Texas, Louisiana and Alabama. 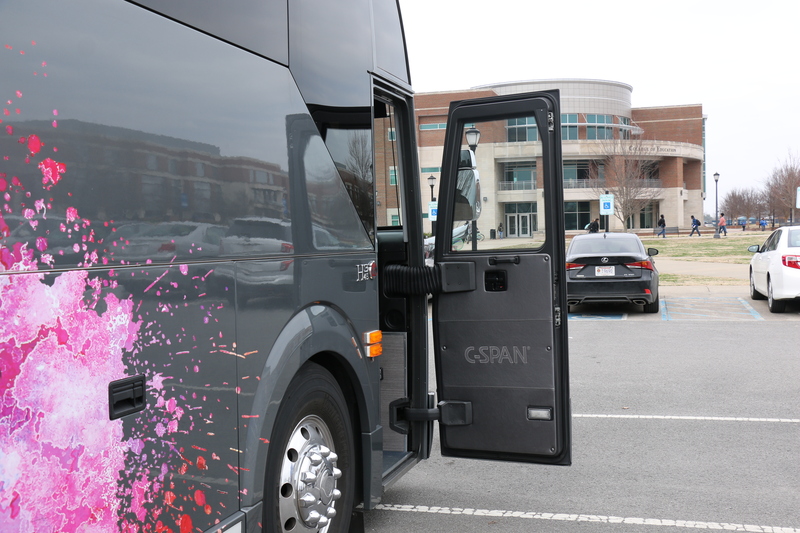 During the tour, C-SPAN will be getting interviews with people about what it means to be an American, Newton said. 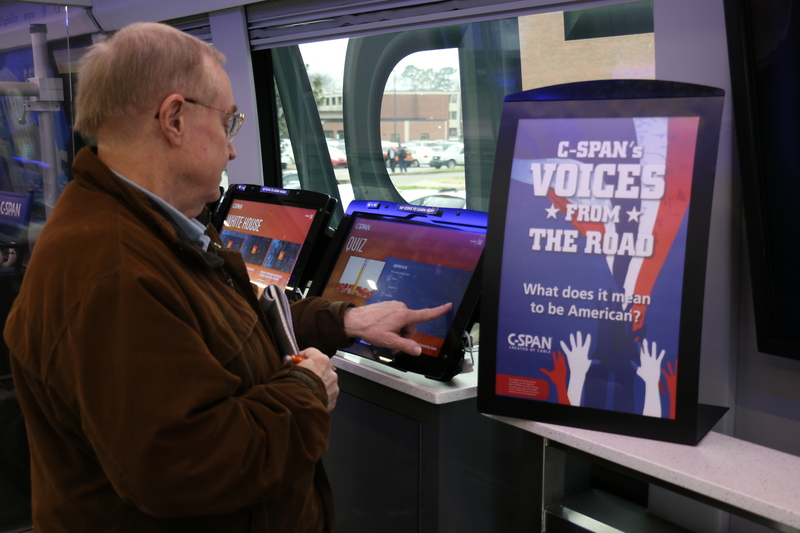 There are 11 interactive tablets on board the bus with quizzes and collections of C-SPAN content. “Students love to test their knowledge, even have a quiz-off with their fellow classmates about political events and historical things that have happened within our country,” Newton said. There is also a pop culture section on the tablets that showcases celebrities who have been shown on C-SPAN while they were at congressional hearings or the White House. 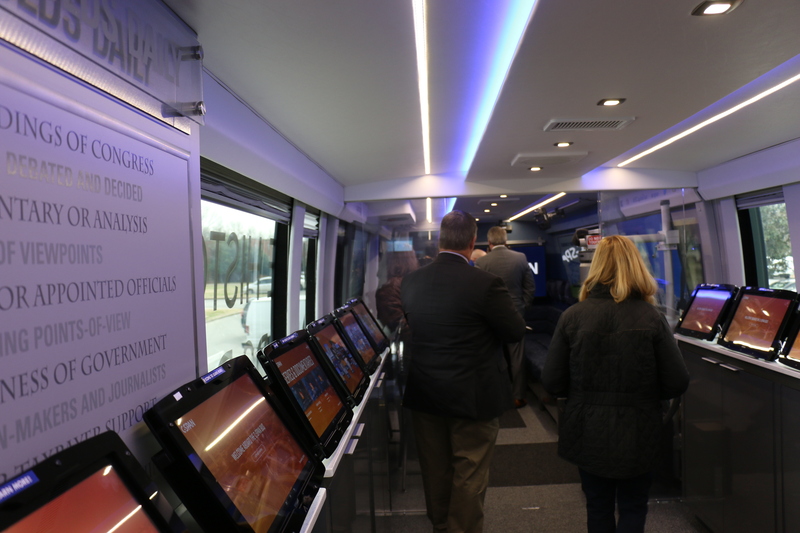 The back of the bus has a selfie station and a 360-degree video station, showcasing events like hearings or press briefings that students would not usually get an opportunity to visit. Newton mentioned a few things she wanted college students to take away from the bus. 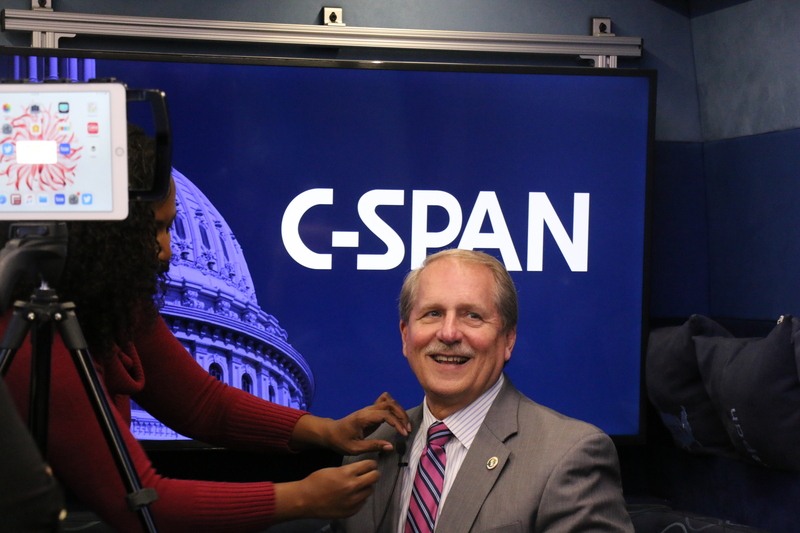 “I would love for college students to know that C-SPAN can be a resource for them. The video library is one of the most interesting things about C-SPAN. That information is readily available, and sometimes they don’t know that that’s there for them,” she said. She also added that C-SPAN is not funded by the government. 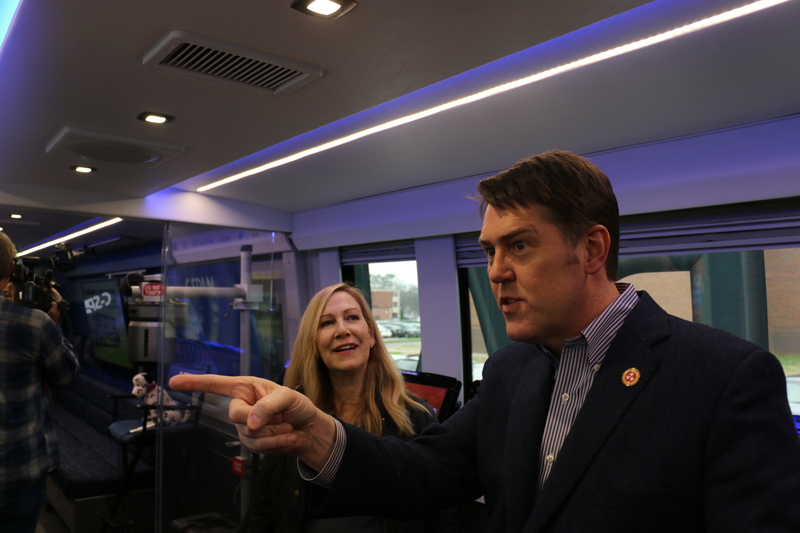 Politicians and officials such as State Sen. Shane Reeves, Rutherford County Mayor Bill Ketron and Rutherford County Election Commissioner Alan Farley visited the bus Wednesday. 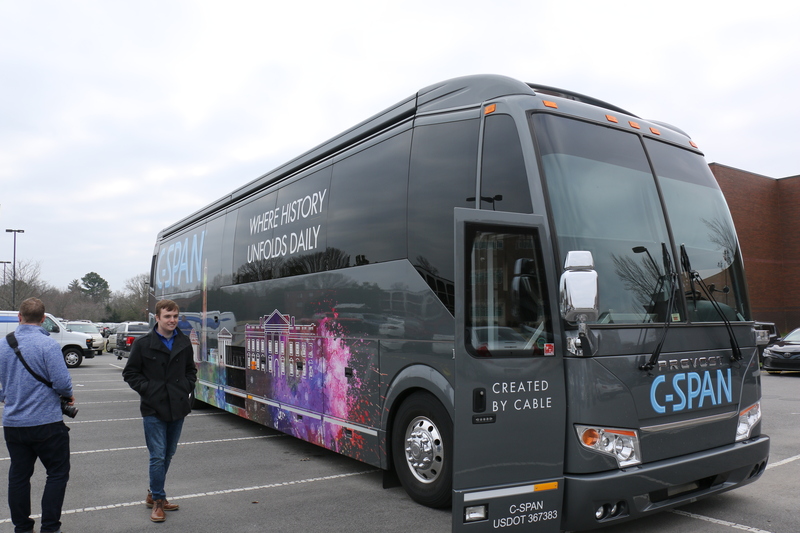 Reeves said that he hoped the bus would encourage students to appreciate their history. Keonte Coleman, an assistant professor in the department of journalism and strategic media, mentioned that he really appreciated C-SPAN for its unfiltered and unbiased coverage. “It’s not something I watch every day, but whenever there are big political issues going on, I always go there and just kind of leave it on there for a while just so you can get the feel for what were the politicians saying … instead of the mini soundbite you’ll get on the local news or the cable news channel,” he said. “I really do like to tell my students to view it every now and again. You’ll see the appeal of it (the) longer you’re in journalism. There is a space for this,” Coleman continued. 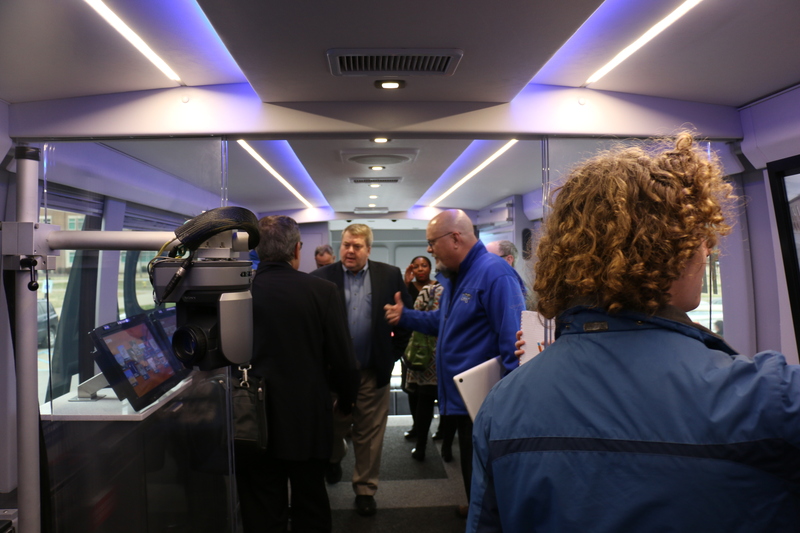 MTSU students also visited the bus and enjoyed the interactive technology it offers. “It’s cool that they can pack so much information that is useful to so many people in one space,” said Kobe Hermann, an MTSU junior. Spencer White, a junior, said he may check out C-SPAN after visiting the bus. “(It) seems like a good source of information,” he said. 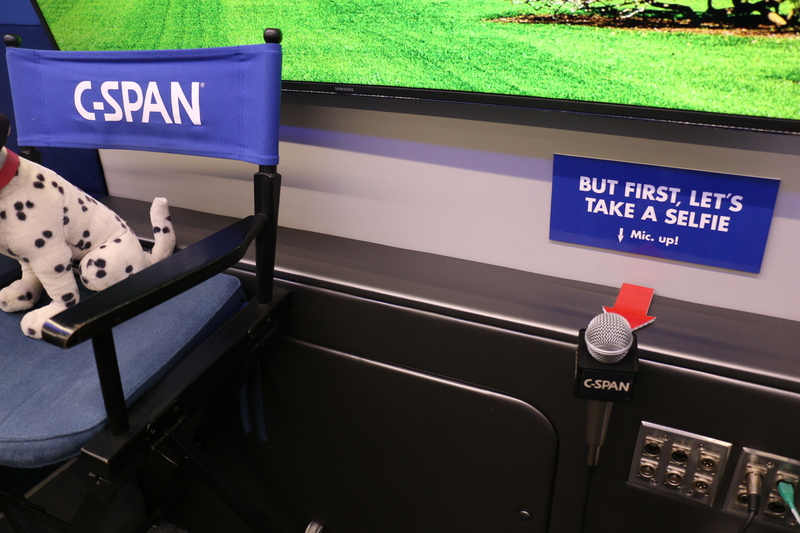 C-Span offers summer, fall and spring internships to students. Information is available online. 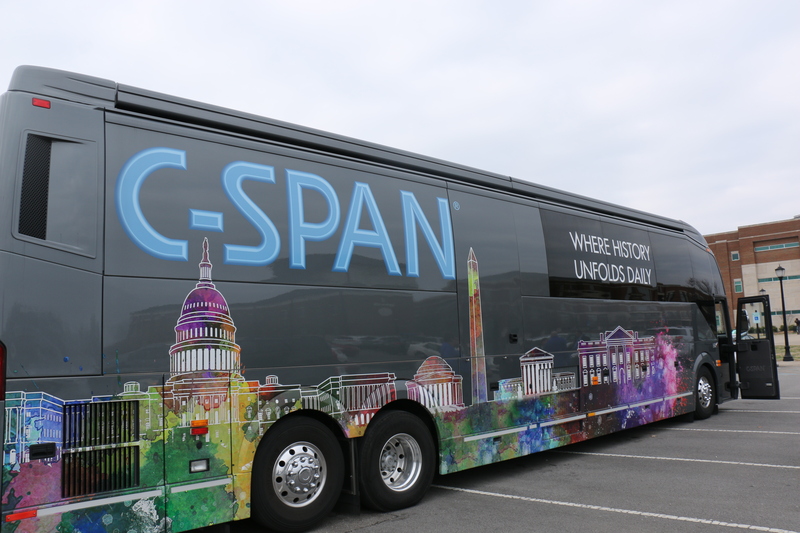 The C-SPAN Bus will be back in Nashville Monday for the Martin Luther King Jr. 30th Anniversary Parade.